Home Building Toys Building Sets LEGO Classic Creative Supplement Set – BEST Price Ever! LEGO Classic Creative Supplement Set – BEST Price Ever! LEGOs are so much fun! This is a HOT Deal on Amazon for a Christmas gift! This set has 303 pieces and has excellent ratings! 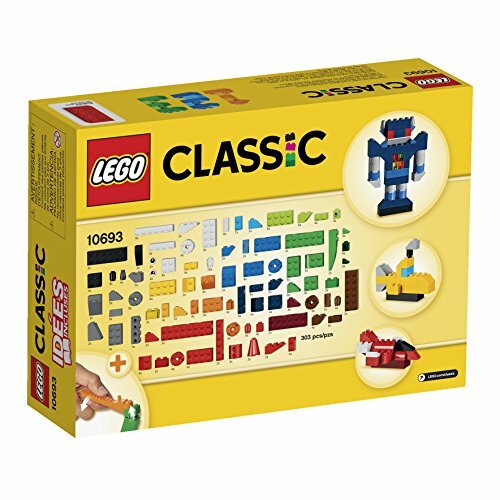 Hurry and get the LEGO Classic Creative Supplement Set 10693 today for only $19.99 NOW $16.40 from Amazon! That’s the lowest price ever! Limit 3. Check out all of the recent Amazon deals here! Amazon Prime members get FREE 2-day shipping!! If you are not a Prime member, get FREE shipping when you purchase $25 or more of eligible items across any product category. Get the LEGO Classic Creative Supplement Set details below. Get busy building whatever you imagine with this colorful set of LEGO bricks in different shapes and sizes! From space rockets and robots to dinosaurs and sharks, this set gives budding builders of all ages the versatility to be really creative and makes a great addition to any existing LEGO collection. In this LEGO Classic Creative Supplement Set, there are LEGO bricks in 20 different colors, as well as 2 pairs of eyes to help you walk on the wild side. So let your imagination fly! And if you’re stuck for ideas, the instructions will help to get you started. Buy the LEGO Classic Creative Supplement Set 10693 from Amazon. Next articleEducational Insights The Sneaky, Snacky Squirrel Game – HOT Deal!